Influence is proud to support the community through our work with non-profits. We love helping these organizations and their clientele as a result. "I can’t thank you enough for how much work you have each put in the last few weeks and last several years to Somos Napa. I’m excited by the results!" 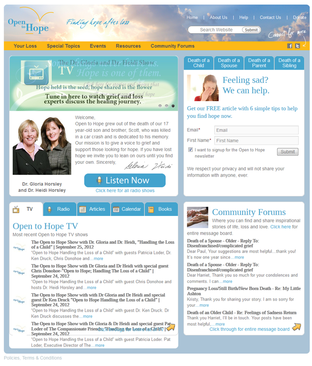 Overview - Open To Hope Foundation came to us in late 2010 with a mess on their hands. The website developer had outsourced the development overseas. Unfortunately the overseas developer had made changes to the CMS that prevented the client from elegantly managing the website. Overview - If Given needed a more engaging website in which to share their work as well as provide students information, and encourage donors to give. Overview - Napa Valley Kids Connect wantedo to present a more complete picture of who they were and what they have accomplished in helping their cleints with communication and motor difficulties. 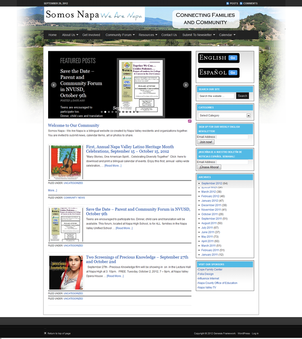 Overview - River School, along with all other schools in the district, was required to convert their brochure site to the School Loop system the District Implemented.